(CNN) Two-month-old Christian Harris just got to meet some very special people: the soldiers who served alongside her late father. “He teared up and immediately started telling all of his friends,” Harris said, explaining that being a dad was her husband’s biggest goal in life. 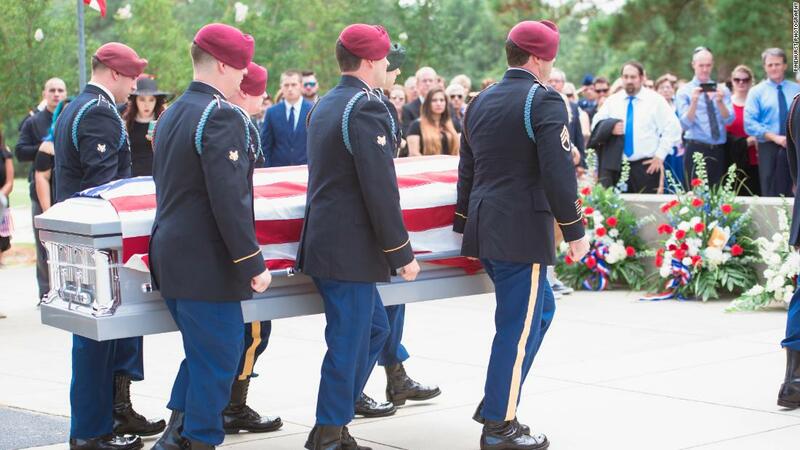 Days later, Harris was one of two soldiers killed in action in a vehicle explosion. While she was pregnant, Harris received the support of the men and women of the 82 Airborne Division who were deployed with her husband. The group revealed the baby’s gender in October through a video in which they shot off pink confetti. When Harris gave birth to her girl March 17, she said she knew she had to plan something special. “I wanted to let everyone meet Christian together,” she said. The proud mom coordinated a photo shoot for May 29 with Pinehurst Photography, the company that photographed her husband’s funeral and took her maternity shots. 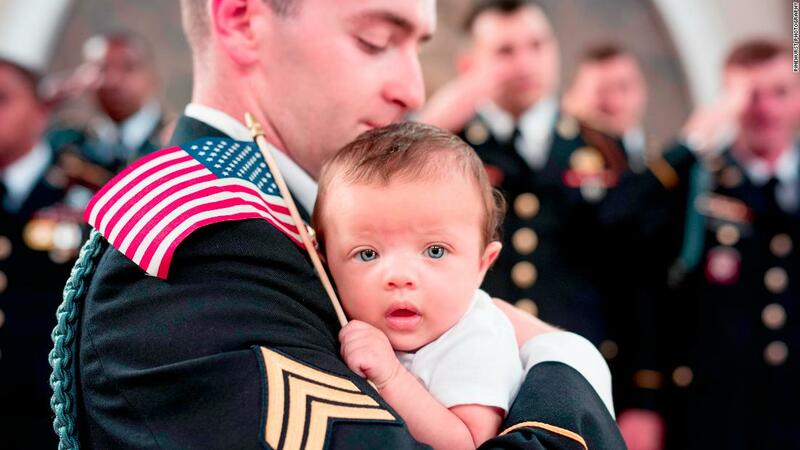 They took the photos at the Cape Fear Botanical Garden with soldiers from the gender reveal, some of whom survived the explosion that claimed her husband’s life. Harris stressed how important it is that Christian can eventually look back on how much her father’s comrades loved her from day one. 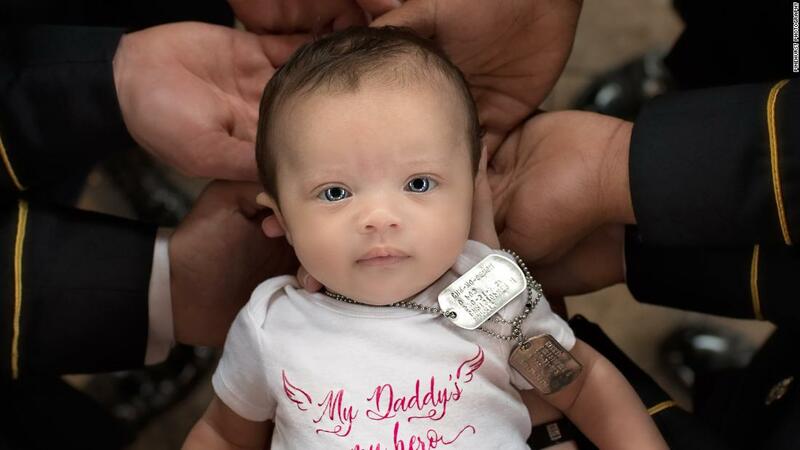 In the photos, the infant wears her father’s dog tags, along with a onesie that reads “My daddy’s my hero” and “SPC Chris Harris” underneath. The couple married in Asheville, North Carolina, on October 15, 2016. For her maternity photos, Harris drove more than four hours to the spot where they wed. She said she is grateful she has their baby daughter to remember her husband by and hopes to teach Christian all about her father’s extroverted personality.